Take an oven pan and line it with parchment paper before placing the puff pastry on it. Depending on the length of the asparagus you might need to roll out the dough slightly more. 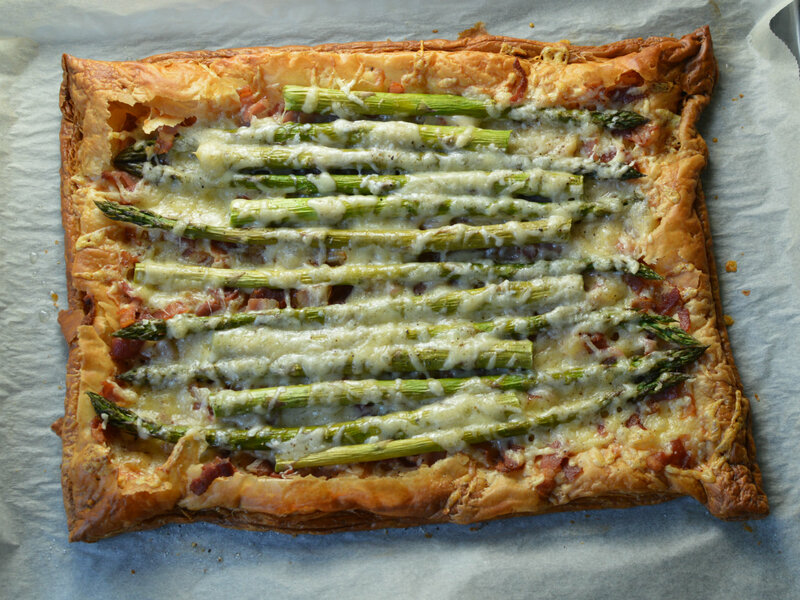 Take the puff pastry out of the oven and spread the cheddar cheese over it, then bacon, asparagus and finally the parmesan cheese and some freshly ground black pepper. Curious to find a solution to the ever present question on what should we eat for dinner?